Shopping is one of the most interesting and favorite activities when tourists and travelers travel to Ha Long (Hạ Long). Among famous shopping places in Halong, Halong Night Market with outstanding features, a huge selection of items and affordable price attracts both domestic and international tourists from various economic statues. Located in the town of Bai Chay (Bãi Cháy), near Bai Chay Beach, every evening from 6pm until late at night, Halong Night Market becomes crowded and busy with lively colors of this city. Of course you can visit Halong Night Market at any time within the year; however, if you want to not only go shopping at the market but also travel to several famous attractions of Halong Bay like Dau Be Island (Đảo Đầu Bê), Ba Mun Island (Đảo Ba Mùn), Yen Tu Mountain (Núi Yên Tử), Thien Cung Cave (Động Thiên Cung), etc., I suggest the best time to explore Halong is Spring (March, April) or Fall (September, October) because the weather during this time is pleasant and cool so that you can enjoy the best activities in Halong. Halong Night Market often receives the large number of Vietnamese tourist from April to July which is also the Vietnamese holiday. If you visit at this time, the cost for a flight or hotel might be much more expensive; therefore, you should book in advance. Foreigners often visit here from August to March. Opened in early 2015, Halong Night Market is a part of Halong Marine Plaza Entertainment and Trade Center. With the total area of 5,000m2, the Halong Night Market featuring 335 stalls that sell plenty of goods with a huge selection such as souvenirs, clothes, and foods has soon become the must-visit spot for tourists and travelers. Halong Night Market location is equipped with great infrastructure, vibrant lighting system, electric fan system, convenient sparking, 24/24 security, and good hygiene. The target audience of Halong Night Market that was built with a unique business model is domestic and international tourists coming to visit and go shopping. 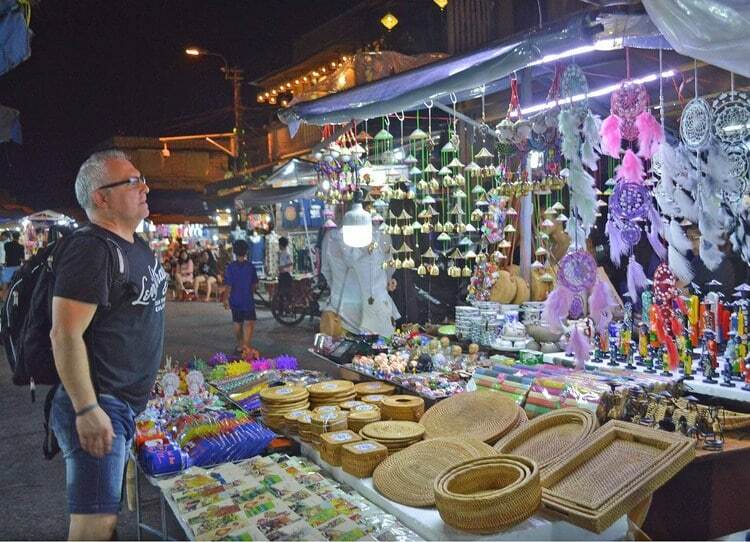 In this market, you can see hundreds of stalls that sell diverse types of items such as handmade accessories, clothes, handicrafts and other dispensable products such as lotion, swimwear or hat, which creates a wonderful night with multiple colors. Tourists visit this place to purchase a unique product of the Halong beach city such as small wooden boats, seashells necklaces, or T-shirt with pictures of Halong Bay. 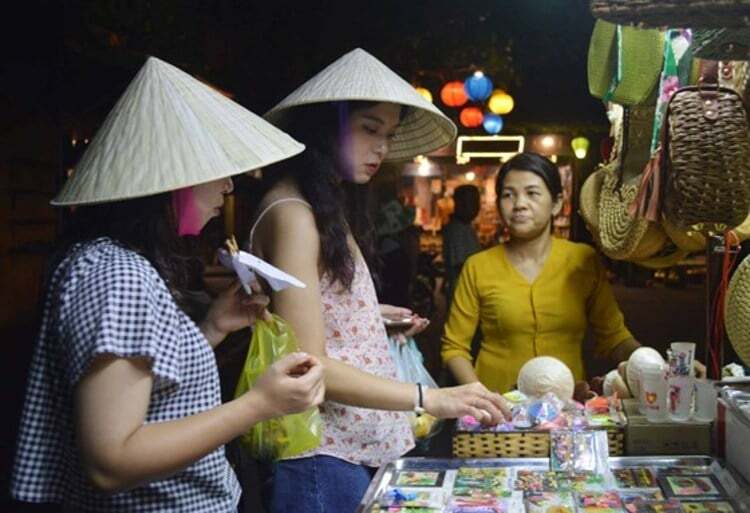 The items sold in Halong Night Market has different price, from cheap, affordable to more expensive than the original ones sold in other markets of the city. But the locals are friendly and open, so they are willing to let you bargain for the good price. Interestingly, coming to the Halong Night Market, tourists not only go shopping but also have great opportunities to take part in many fun entertainment activities because this market is a part of Halong Marine Plaza Entertainment and Trade Center. For example, after sightseeing and shopping, tourists can go and watch movies at the CGV or join some entertainment games at T-club. It is undeniable that Halong Night Market is a wonderful place for tourists and travelers. Because it opens from 6 pm to late at night, the majority of tourists want to stay overnight in the hotel near Halong Night Market for the convenience. It is a reason why accommodation services are being developed well now. There are about 26 accommodations within just 2 miles of the Halong Night Market. For example, the Paradise Suites Hotel, the Galaxy Classic Cruise and the Royal Villas are the most common choices of tourists. They are 2 miles and 1 mile away from the market respectively. 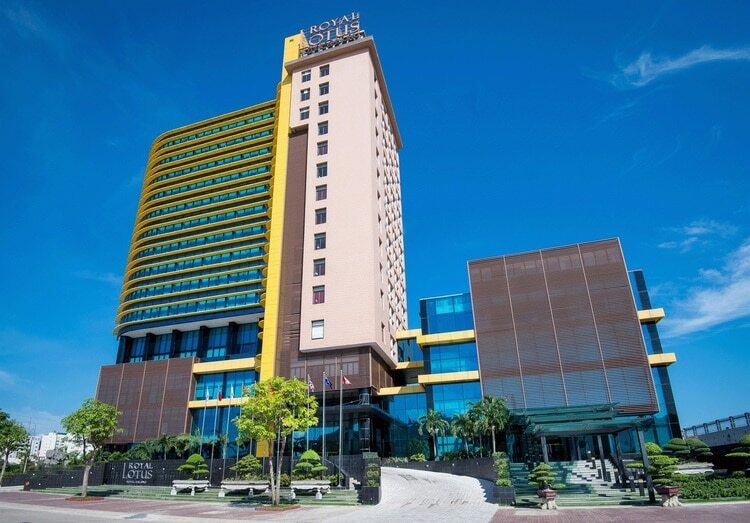 Some travelers want to find budget-friendly accommodation, so the good options for them are the Halong Pearl Hotel and the City Bay Hotel. Moreover, if you are not in a tight budget and prefer to stay in a more extravagant hotel or resort, you can also choose the best one such as the Vinpearl Ha Long Bay Resort (1 mile away) and the Royal Lotus Hotel Halong (0.2 miles away). As you can see, there are a lot of reasons for you to decide to go shopping in Halong Night Market. I hope that you will find useful information in this article and prepare a good trip. If you want to ask any questions, please feel free to leave them below. Vina.com will answer them as soon as we can.